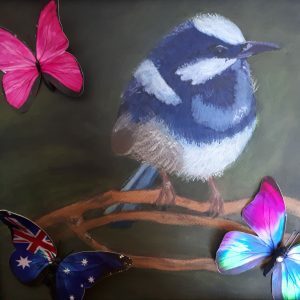 Bluewrensandbutterflies – Page 3 – A Journey of discovery and self love. Shout someone a coffee. Lets raise the vibration of the Earth by thinking of others. Let other drivers in especially when it doesn’t slow you down. Lets raise the vibration of the Earth by being kind on our roads. Tell someone you appreciate what they do for you. Lets raise the vibration of the Earth by appreciating those that help us. Give other drivers a wave to say Thank You when they let you in. Lets raise the vibration of the Earth by being kind on the roads. Share a funny story with someone. Lets raise the vibration of the Earth by making each other laugh. Share a Joke with somebody. Lets raise the vibration of the Earth by making each other laugh. Listen carefully to the lyrics of songs and really feel the music. Lets raise the vibration of the Earth by really appreciating the music.